AT&T Audio Monitor & Data Tracker Just $19.98! Down From $80! You are here: Home / Instagram / AT&T Audio Monitor & Data Tracker Just $19.98! Down From $80! For a limited time only! Hurry over to Toys R Us where you can score this AT&T Audio Monitor & Data Tracker for just $19.98 down from $79.99! Get FREE store pick up or FREE shipping for orders $29 and above! 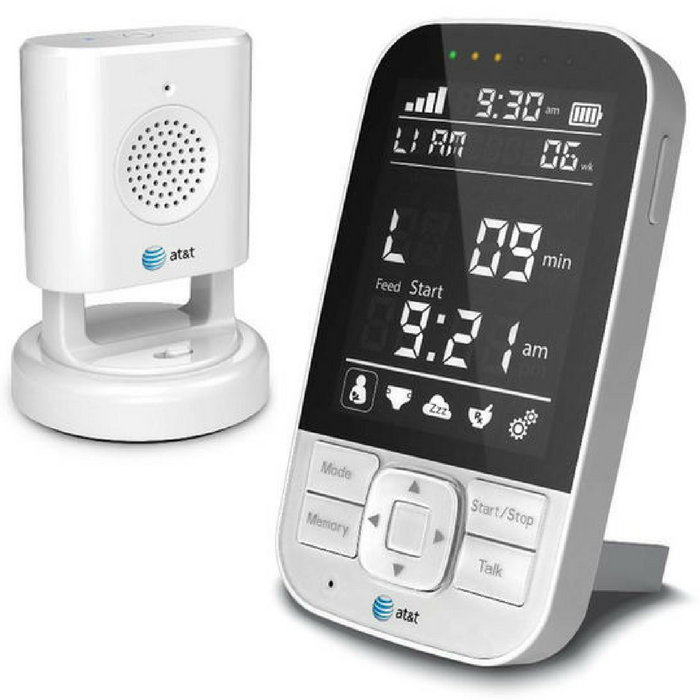 Listen to your baby from anywhere in your home with the AT&T Smart Trac Digital Audio Monitor. The All-In-One Audio Monitor & Baby Tracker lets you log & track baby’s feedings, sleep, diapers & medicine. Two-way communication lets parents soothe baby and sound level indicators visually show baby’s sounds. Provides up to 600 feet range and includes a built-in rechargeable battery for portability. High quality digital audio monitor lets you clearly hear baby from anywhere in the home. Log & Track baby’s key events such as feedings, sleep, diaper changes and medicine. Memory feature for past events. Customize with your baby’s name and birth date. Sound level indicators show level of baby’s sounds and two-way communication to soothe baby. Built-in rechargeable battery and belt clip for portability.